﻿ GNP Equipment | Stainless steel 1200 dia. 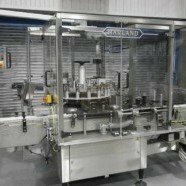 Lazy Sue by Anglian Engineering Ltd. Manufactured by Anglian Engineering Ltd.
A 1200 dia. stainless steel Lazy Susan. The unit is powered by a 0.55 kw motor through a gearbox giving a table speed of approx. 6 rpm. 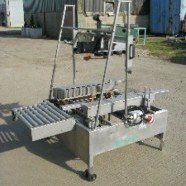 The unit is all stainless conact parts and has adjustable feet giving a working height of between 700 mm upto 900 mm. Complete with a stop / start isolator and five pin plug. Three phase.